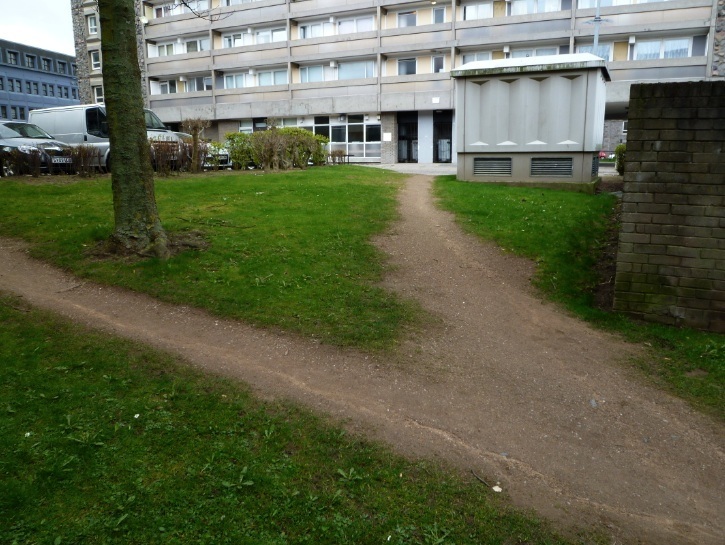 Desire paths: what Roy Bayfield calls the “counter-grid trajectories” or well-trodden, corner-cutting routes that people often walk in parks, campuses and other formal settings where the designated paths have come to seem irksome. Much has been written about desire paths as allegories for innovative thinking, the counter-culture, informality and resistance to bureaucracy. Right- (or left-) thinking planners design them in, or wait for them to be revealed in the first snow. Ad-libbing (a form of dramatic desire-pathing) oils the wheels of creativity. So that, these days, it’s hard to see desire paths as anything but a good thing – the antithesis of the over-determined, regimented approach to social and urban planning that is represented by ‘Keep off the grass’ signs. We’re not the only ones – sheep, deer, foxes, bears, pheasants and many others manifest their walking desires in mud and snow. All walking is somehow an embodiment of the desire to get somewhere, somehow. That desire to cut corners leads to significant erosion in popular areas of national parks and mountain resorts – damaging the environment for everyone. That desire to shave a few seconds off a walk seems to represent much that’s wrong with a fast-food, instant-gratification society. What’s a desire path for a Buddhist monk or someone in mourning or a bullied child dragging her feet on the way to school? Aren’t constraint, discipline and boundaries exactly what we (or at least our children) obviously need to bring out the best in us? What if the desire paths are trodden by Trump voters, or Clinton voters, or neoliberals, or some other group whose bigotry doesn’t match our own? Should those paths be respected too? 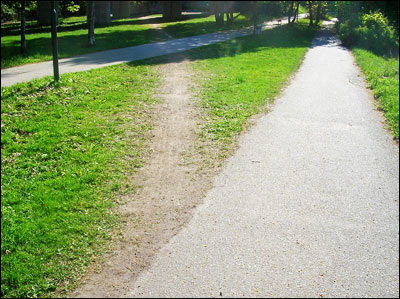 If desire paths are the triumph of user experience over imposed design, do we always want user experience to win? Isn’t short-cutting of all sorts what got us into the sociopoliticalenvironmental omnicrisis that we find ourselves in? We don’t want air traffic control following desire paths. 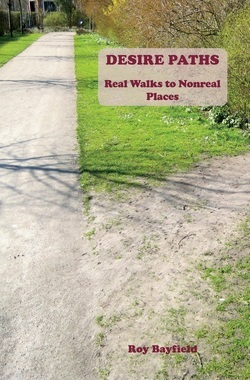 As Rebecca Solnit says, “Walking is a mode of making the world as well as being in it”. Which is a useful way of re-engaging with the importance of walking but a reminder of how inflated we can be in our supposing that we ‘make’ anything when it might be more proportionate to remember that everything is always, also, making us.